SHILLONG: Shillong Lajong came from behind to beat Mumbai FC 2-1 to maintain their unbeaten home record this season in a ninth round I-League match played at the Nehru Stadium in Guwahati on Sunday. The win takes Lajong to the seventh position in the table with 12 points in their kitty from nine matches. Mumbai FC on the other hand are at the 11th place with seven points. “We played very good football throughout and are happy to maintain the winning streak in what could be termed as a home away from home,” Lajong coach Pradyum Reddy told The Shillong Times. Lajong started on a positive note, dominating ball possession. But it was Mumbai FC who scored against the run of play when Kingsley Choima found the nets of a corner kick in the 35th minute. Down 0-1 at half-time the Reddy’s boys came out all blazing in the second as Lalhlimthara struck the equaliser of a Wailad cross in the 55th minute. There was no let-up from the Reds (Lajong) who went ahead in the 74th minute after Eugeneson Lyngdoh scored of a Johny Menyonger pass. Eugeneson was also awarded the man-of-the-match. “Strategically Mumbai would have been contented with a draw so we had to press for the crucial three points,” Reddy said. “It ws a fair result and important as well as we could be fighting for a spot with them (Mumbai FC) towards the end of the season, when head-to-head criteria would matter,” the Lajong coach added. 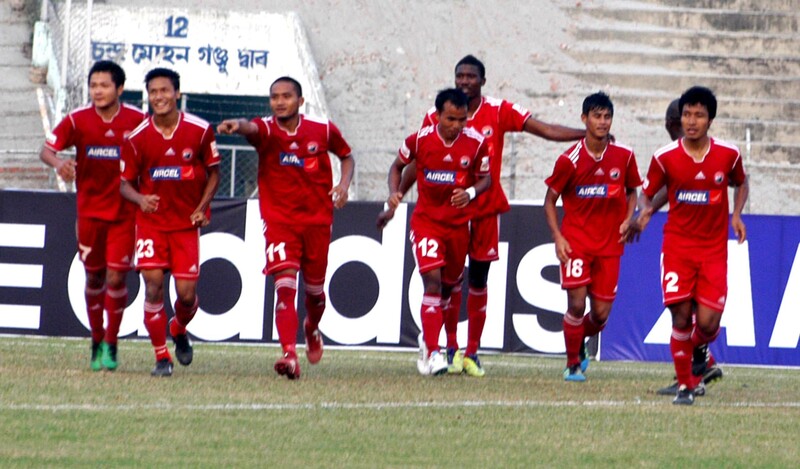 The last time Lajong played in the I-League (2009), it took them 15 matches to go past the 10 points mark. “It’s definitely an improved performance this year,” Reddy said. The team travels to Goa for the next match against Churchill on the 17th.